Since 2007, SOA People has been supporting its customers to transform their businesses into exceptionally efficient, highly performing companies. With years of experience in SAP consulting and management within different industries, SOA People offers a solid and stable solution to its customers. Thanks to its relevant offering, its proven methodology and its professional approach, SOA People boasts an impressive track record of successful projects, in all kinds of industries and in companies of all sizes. 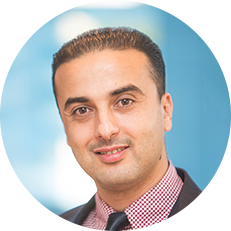 After completing an engineering and management degree, Khalil Hodaibi began his career in the industry. After 4 years he joined the consultancy sector and became a project manager and agency director. An entrepreneur at heart, he initiated an MBO in 1998 and ended up becoming the head of the company that employed him. Surrounded by strong partners and a loyal team and using his skills, he was able to bring the company to international status within 5 years and in 2003, he decided to integrate his team with an international group listed on the Frankfort stock exchange. He was successively CEO for Western Europe, CEO at EMEA and Vice President. Drawing on his extensive experience, he created SOA People Group in 2007. Khalil understands all sides of business, the perfect mastery of financial strategies, growth investment, internationalization and development; this gives him the remarkable ability to anticipate and adapt. After an Information system management degree, Vincent Simioni joined an international manufacturing company based in Germany in 1987. From 1991 to 1993, Vincent participated to the deployment of SAP R/2 solutions in various European countries. Then in 1994 following a management graduate training course at HEC, he joined the world of SAP consulting. In 1998 he joined Khalil Hodaibi, the MBO of Expert Group. He became Country Manager for Belgium, Luxembourg and helped to continue to expand the company’s international presence. From 2003 to 2006, he managed the Belux subsidiaries of an exchanged quoted joint stock group. Then in 2007, Vincent worked with Khalil to create SOA People group. 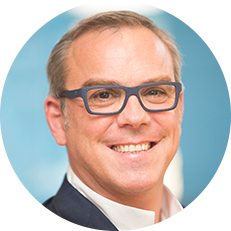 He is President of French activities and manages the SAP partnership relation at an EMEA level. 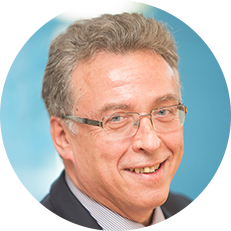 After an engineering diploma at E.N.I Metz, Philippe Barge began his career in 1986 and after 15 years in the manufacturing industry in E.G.O. France and then VIESSMANN Philippe decided to join the world of IT consulting to manage large SAP projects. He moved to IDS Scheer and worked there until 2006, his roles included Head of Industrial Department, Project Director and finally Director of Operations. During this time beyond his managerial responsibilities, Philippe worked with both major industrial projects and IT. In 2007 Philippe proposed the creation of SOA People. As COO and a member of the Executive Board he directs and controls the operational performance of the SOA People Group and manages all operational commitments supported by his team of experienced managers. Tarek brings a wealth of experience in results & performance driven business, is self-motivated and a resourceful Corporate Director with a proven ability to develop and strengthen management teams in order to maximize company profitability and efficiency. His focus is on leading and growing all sectors of a business to make it a dynamic and progressive organization. He possesses excellent communication skills and is able to establish sustainable and profitable relationships with customers, suppliers and stakeholders across the regions. Tarek has been leading SOA People’s global Cloud, Innovation strategy & positioning since January 2015. He is a permanent member of the Corporate Executive Board of directors. He is responsible for running the overall Cloud & Innovation business of SOA People, including setting and leading the implementation of the organization’s strategy and objectives and overseeing its operating model. After graduating in computer sciences, Joel began his career in 1978, in an engineering office of a large international group specializing in civil engineering. 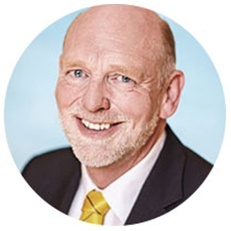 In the mid 80s, he joined the Belgian subsidiary SOBEMAP one of the two largest European IT services companies of the time, he then moved to SEMA Group and began a long career in Europe and overseas in the field of consulting and IT services that has always fascinated him. 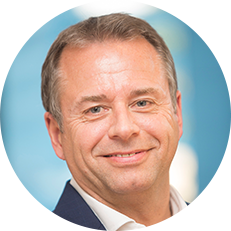 In early 1999, he became head of the SAP division of Bureau van Dijk, historic first Belgian partner (1988) of the German publisher. In 2004, with the help of some private investors, he led a management buy-out under the banner BvD-It Services and continued his activities in the world of services around SAP, as owner and operating manager. 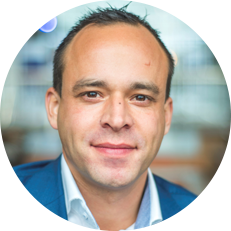 In March 2010, he sold his company to SOA People to join a unique and ambitious business project, which unquestionably helps make SOA People the top SAP partner operating in Belgium and Luxembourg. 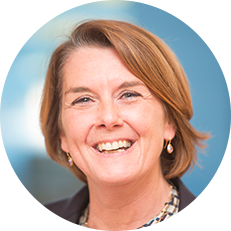 Petra graduated from Solvay Business School after studying Commercial Engineering and started her first job at Mercedes Benz and then Belgacom Directory Services as a manager within the finance department. After experiencing her first SAP R/3 implementation project as a key user, Petra decided to move to world of SAP. 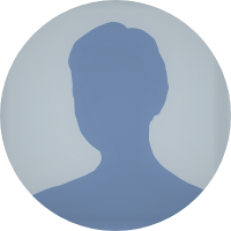 With over 20 years industry experience Petra participated in the creation of SOA People with the other founding members and sits on the executive board. Petra understands that being committed, innovate, agile, passionate & respectful with customers, employees, managers, and partners alike is and has been important throughout her entire career. People like to work with an organisation that share a clear vision and strategy but also an organisation that is putting these values to the forefront of all decisions making. Petra is commited executing this philosophy. With a Masters degree in Information Technology from EPHEC, Alain started his career working for an IBM Agent in Brussels. 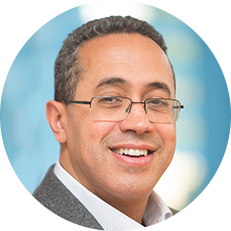 With 23 years of experience in SAP, first as a consultant & project manager, then through a first SAP partner (BPR Management), Alain has an in-depth knowledge of the SAP Market in Europe. 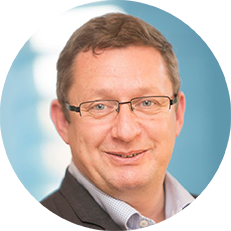 In 2005 Alain founded Keneos Group, a leading SAP organisation in Belux which went on to have a presence in 6 different countries in Europe, with customers such as GlaxoSmithKline, AGC, Arkema, SNCB, STIB. In 2015 Keneos was acquired by SOA People, since then Alain has taken on the role of Group Marketing Director; where his responsibilities include Marketing, Communication, Strategic Partnership and Lead Generation.